Hello romance novel lovers! Are you looking for beach reads to enjoy over the summer? A MONTH FROM MIAMI, the first book in the Braddock Brotherhood series is on sale for $1.99 until May 15th to celebrate the release of the fourth book in the series, WHAT A RICH WOMAN WANTS set to release on May 12th. What? You didn’t know there was a series? Why yes. It all began with Rick in A MONTH FROM MIAMI. Then his twin brother Ray appeared as the hero in A FOREVER KIND OF GUY (#2). Trey, who also made an appearance in Ray’s story, got his chance at redemption in THE FIRST TIME AGAIN (#3). Niko, the hero of WHAT A RICH WOMAN WANTS, made his debut in A FOREVER KIND OF GUY. All the books stand alone as their own stories, but they are connected through the heroes. You don’t have to read them in order. You won’t miss anything, although the heroes do show up in each other’s stories. 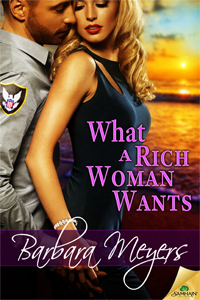 WHAT A RICH WOMAN WANTS received a 4-star review from Romantic Times Book Reviews. What I’m working on now: Cleo’s Web, another romantic comedy, is almost done. My brutal critique-er says she didn’t have to be too brutal. As soon as I get the synopsis back from her, I’ll be putting the finishing touches on it and submitting it. Since finishing the Cleo rough draft, I have become obsessed with an idea I call ANIMAL, which is a modern-day twist on Beauty and the Beast. Yes, I know it’s all been done before. Haven’t you heard? There are no new ideas, only new twists on old ones!! My goal is by summer’s end I will have the second book in the Grinding Reality series done and available to readers. It’s called COOL BEANS and is written under my screwball-fantasy-writing pen name, AJ Tillock. I have a fantastic cover for it. I just need to finish it! So cross your fingers for me. If you look at my web site you may notice the word “bestselling” in small print in various areas. That’s because I believe whatever is on my web site will actually happen. I have been posting my works in progress on there for years and everything I’ve mentioned is now published or soon will be. (I’ll let you in on a little secret. Sometimes I wasn’t sure they ever would be. )So I figure whatever’s on my web site will soon be a reality. I am looking for readers to interview for my blog. If you’ve read a book you loved (and no, it doesn’t have to be one of mine!) 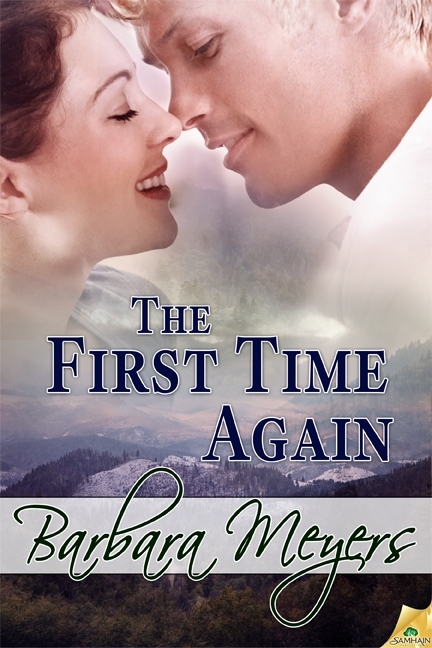 and want to share, e-mail me at barb@barbmeyers.com, put “Reader Interview” in the subject line, and I will send you the interview Q’s. It’s easy! Please feel free to share this with your romance-reading friends. Until next time, happy reading and thanks for keeping your fingers crossed! Amazon, barbara meyers, newsletter. Bookmark.